← Jan 2019: Storytime Bloghop! 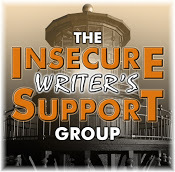 It’s the first Wednesday of the month, which means it’s time to share our hopes, dreams and fears with the Insecure Writers Support Group, the brainchild of Ninja Captain Alex J. Cavanaugh, and this month’s hosts are;Raimey Gallant, Natalie Aguirre, CV Grehan, and Michelle Wallace! Each month the IWSG provides a suggested question to answer, but I don’t feel like answering that one this month. Instead I thought I’d write about my first official rejection email from an agent, which I received a couple of weeks ago. It was a fast turn-around too, under 2 weeks, so I obviously wasn’t what they’re looking for. I still have other submissions that have been ‘out there’ for much longer. Mind you, that could mean anything – that it’s still on the pile, that they’ve looked at it but are undecided, or that they’ve read it but haven’t bothered to send a rejection. Some agencies say to give them a nudge if you haven’t heard from them within a certain period of time. Some say that ‘you should hear from us within x weeks’. So if you pass the time limit on that second one, does it mean ‘no’? or that they’re running behind? Leave it for a bit? Assume it’s a ‘no’ and send out some more subs? I’ve got too much else going on at the moment to worry about it. I’ll leave be and let my subconscious sort it out. In a week or two I’ll have worked out my next step. Before I go, I just wanted to remind you all that the Exeter Writers Short Story Competition closes for entries at the end of this month – this year we’ve boosted the first prize to a whacking £700!! So, come on guys – I’d love to see a name I recognise from here as the winner! I assume that every submission is a rejection as soon as it leaves my hand. I’m not sure why that helps, but it does. I definitely keep submitting. If it makes you feel better, my very first rejection came back in about eight minutes. Start to finish. Ouch, that’s harsh. Probably someone you wouldn’t have wanted to work with anyway. It’s such a balancing act, isn’t it. Many will say if you don’t hear by a certain time, it’s a no. If they don’t, then give them a nudge. One rejection – one closer to a yes! Probably won’t have anything ready for Exeter, but thanks for the reminder. I hope you hear back positively. Sorry you go that other rejection, but you’re right! What’s life without a few notches? Angela – Rejection slips – No wonder writers are Insecure. I can’t imagine what it is like for those who dream of a literary career. I salute your resolve, and give thanks that I’ve settled for an amateur, self-published status. ah, you see to me it’s self pubbing that’s more daunting! If you keep sending submissions out it lessen the sting of getting a rejection because you still have a chance with the others. Never give up. it definitely helps to have others still out there. Rejections are part of the process. You wouldn’t receive them if you weren’t trying. If you’re uncertain about when to nudge, of if to nudge, there are agents who keep blogs about querying and you’ll find answers there. Good luck! Congrats on the first rejection. I would say if it has been a while it is probably no, but no reason not to put your mind at rest and contact them and see if you find out for sure. Sending out queries is sooooo hard. You get super excited and hopeful then the rejections pile up. Don’t get discouraged. Take their advice/edit notes if they give any and fix the problems! Always be willing to edit your work. Someone will love it! Usually no answer means no. On the plus side, the more rejections you get, the closer you get to an acceptance 🙂 It’s difficult. It’s emotionally draining. But… when you get that acceptance email — even after all the rejections have woken up that inner critic — you will be ecstatic and none of those rejections will matter. Take it from someone who had three rejections and one acceptance in January. Be brave. You CAN do this.